We all have things lying around at home on top of cupboards, in shoe boxes, in our lofts and basements that we just have no use for. You will also find that these things still have their use; just not to you anymore. This is where Healthy Planet can help. What is Stuff for Free? Toys ready to be given away! 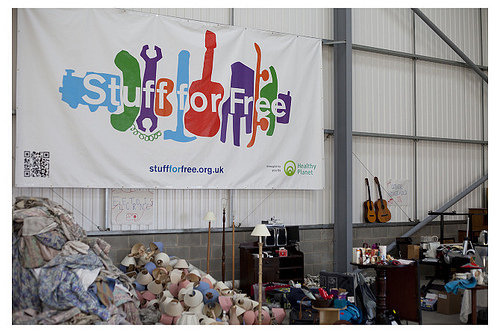 Stuff for Free is an innovative project, which takes on the concept of reusing.This initiative is carried out in a series of community reuse events, which allow members of the community to do their part in helping to reduce the amount of waste which is unnecessarily filling up landfills. It is incredibly simple to get involved and here’s how it works: there are two separate events. 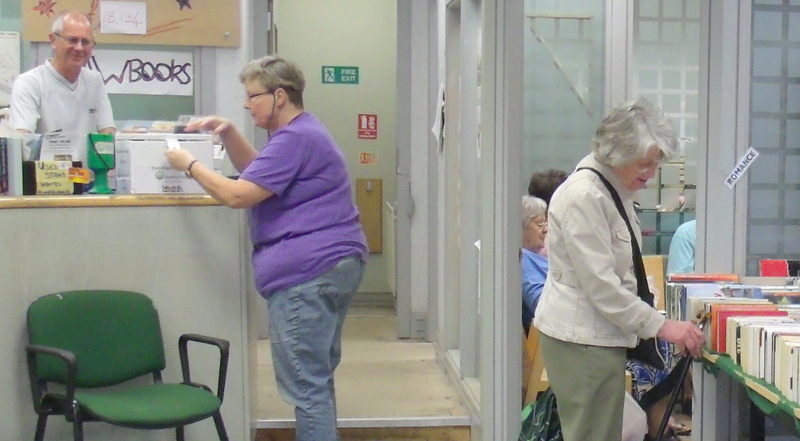 One is the Give Weekend, where community members can trawl through their unwanted items and give them to a large team of volunteers, who sort it all into manageable piles. Then there is the Take Weekend, where anyone can come in and take things for free. 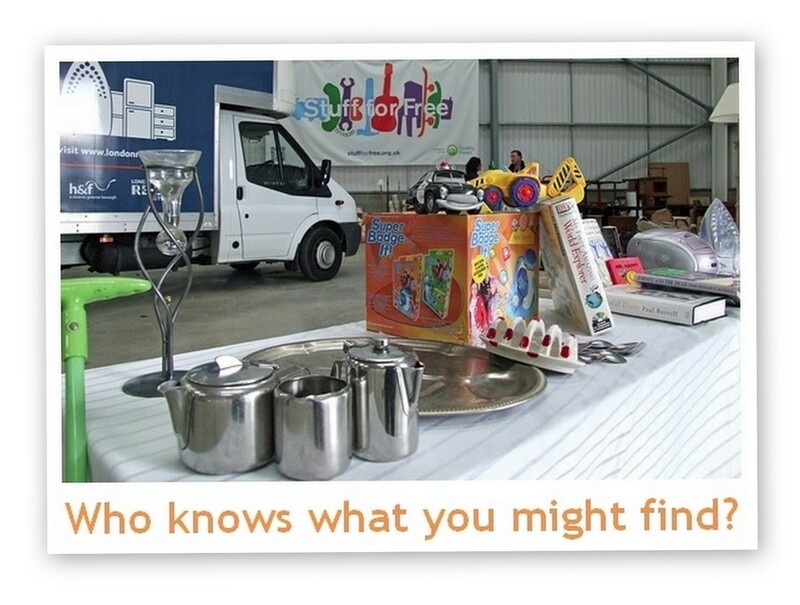 You can bring just about anything: sports equipment, books, toys, furniture, clothing, electricals, kitchen gadgets and bric-a-brac. This isn’t just a great way to get rid of things or pick up a new necklace or toaster; it is so much more than that. You are actively saving resources and getting rid of items responsibly. This idea of sharing resources is the future and may be the way forward for us as a global community. There are also many other examples beginning to use this system of sharing; for example Storemates.co.uk is a way to use any spare space in people’s homes for storage, saving you money compared to commercial storage units. This also benefits both parties as it saves money for the person seeking storage and the people with unused space make a little extra. This sharing phenomenon is definitely catching on and people are finding new ways to take part, from clothes swaps to car shares and even renting clothing at a fraction of the RRP. Zipcar is a great example of an efficient way to save money and time by sharing your car, whilst helping the environment; according to their own statistics, every car shared takes 20 off the road, which cuts a huge amount of our CO2 emissions. “Zipcar produced a report on The Business of Sharing in the UK which reveals that this new pay-as-you-live lifestyle is changing the retail paradigm, and estimates the market in the UK at £22.4 billion.” This idea of collaborative consumption and sharing is at the core of the Stuff for Free initiative. There is another Stuff for Free event coming up next month and it will be a great way to help your planet and your community, by saving unnecessary item disposal. On the Give Weekend, it is a chance for you to clear out your unwanted clutter and give it away so your stuff can find a new home. On the Take Weekend, you will be able to come in and take stuff, for free! So you can walk away with an item you fall in love with without spending a penny. It is a family friendly event with a festival like atmosphere that the whole family can enjoy, with stalls to explore and a children’s play area. At previous events people have walked away with all sorts of things from bric-a-brac to televisions and furniture in good condition. 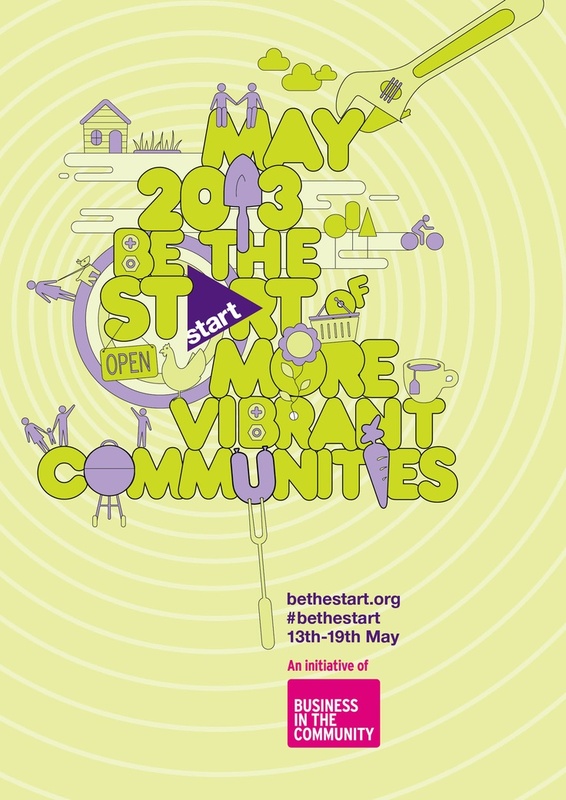 So why not come along, or invite a friend you know would love to be a part of this? It’ll be a fun experience and everybody wins! If you want to get involved beyond giving in your stuff and want to be hands on about helping the cause, you can also apply to become a volunteer on either weekend. There are many different roles you can apply for, depending on your preferences and interests. It’s Global Sharing Day on the 14th November! People who share are organising the the Greatest Share on Earth where they will set a world record for the maximum number of people sharing in a single hour. Share a meal, share time, share knowledge, skills, swap, exchange, reuse… the choice is yours. For more information on how to get involved check out the links below! Oh no, not more socks! W e all get the chance to brush up on our acting skills at Christmas. You have to put on the face of a lottery winner as you unwrap that well-meaning but awful present. When the festive period ends, we’re left wondering what we should do with our unwanted gifts. 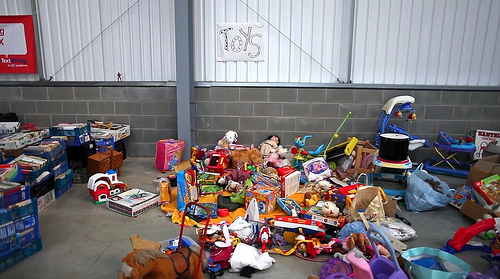 It is estimated that 40% of toys and novelty presents end up in the bin within a year, so instead of throwing them away or leaving them in the back of a cupboard why not make sure that they go to a good home? Luckily, in January and February Healthy Planet is helping you to do that. 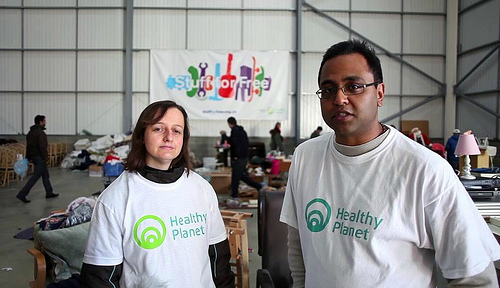 Stuff for Free is a giant community reuse event that gives you the opportunity to swap those unwanted presents for something more to your liking. What’s more, you’ll be helping the environment. By re-using things instead of throwing them away Healthy Planet is reminding us that by taking part we will be helping to reduce landfill waste, while saving the earth’s valuable resources and helping ourselves find something that we really do want. Drop off your unwanted stuff between 12 and 22 January and to take your pick of the collected stock from 27 to 29 January. It’s free, fun and you never know what you might find. For details, check out our Stuff for Free web page. White Xmas? No,make it a Green Xmas! Make your leftovers into compost: While leftovers at your place could be few and far between, if you do have leftover food, turn it into compost. This will a) reduce landfill and b) be good for your garden or plants. Recycle your wrapping paper: So the presents have all been unwrapped and met with happiness/disgust/apathy (delete as appropriate). The wrapping paper itself is forgotten about or piled into the bin. Do the right thing and recycle it or, if you can, reuse it again next year! Turn Xmas lights off when you’re out and about or asleep: The lights are dazzling to look at, but that will not even be a possibility when the electricity they take up runs out. Turn them off when possible. 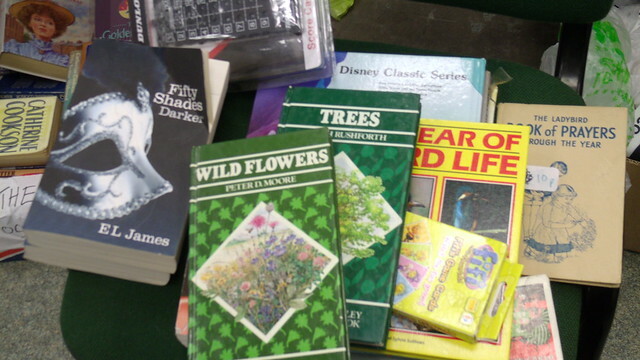 Donate unwanted toys/clothes/books to charity: Charity shops are calling out for these items and throwing them away adds to the already vast amount of landfill, as well as depriving other children of the chance to enjoy them. Don’t overeat: Although we see Christmas as a time to overindulge, cooking too much means we use more resources than we need such as gas, water and electricity. Put into perspective, we should obviously enjoy Christmas, but we should also be aware of how the holiday is affecting the environment. Christmas is supposed to be a time of reflection, so maybe make the time and effort to think about what you can do to ensure Christmas can still be a cause for celebration. Healthy Planet is helping to teach school children the virtues of making Christmas more environmentally friendly with free lesson plans for teachers and parents. 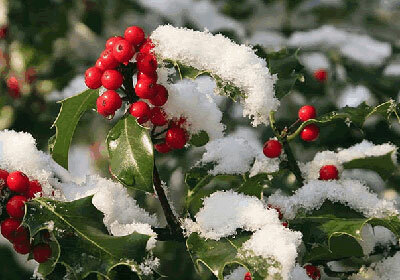 To find out more visit Healthy Planet’s Christmas lesson plans. One man’s trash is another man’s Shakespeare! Did you know that half the books printed in the UK are never read? Sounds unbelieveble, I know, but it gets worse! 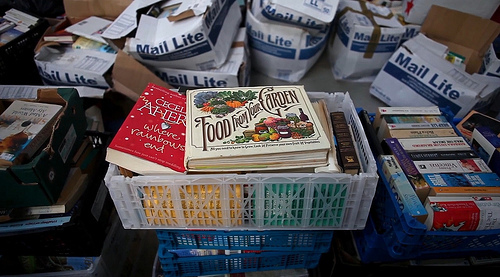 These books aren’t redistributed, but disposed of, usually pulped or left to rot in a landfill. As a keen reader this left me feeling shocked and frustrated. But the real victim, as I discovered, is the environment. If we take carbon dioxide emissions into consideration, the UK publishing industry effectively pumps 600,000 tonnes of the harmful gas into our atmosphere from the 200 million books printed every year. That’s the equivalent of putting 100,000 extra cars on our roads. This huge waste of paper has a major effect on our forests too. Worldwide each year, millions of hectares of ancient forest are logged. That’s the same as an area of forest the size of a football pitch being destroyed every two seconds. With a gob-smacking 80 per cent of the world’s original forests severely damaged or destroyed something has to be done! 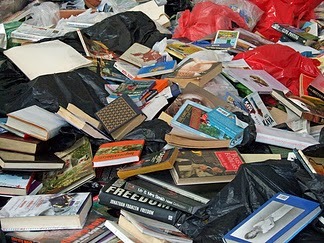 Now, imagine if there was some way to prevent all these perfectly good books going to waste and at the same time help cut down on the need for those industries that contribute towards global warming. 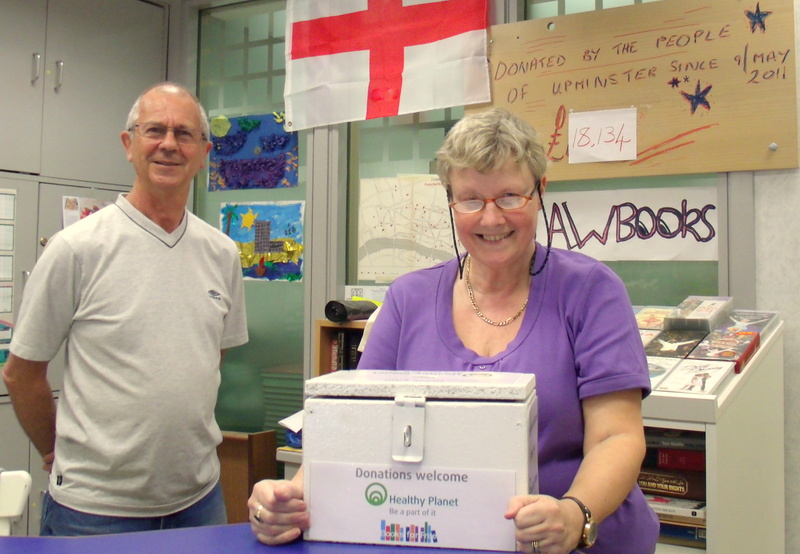 Well Healthy Planet’s new Books for Free outlet in Basildon does just that. 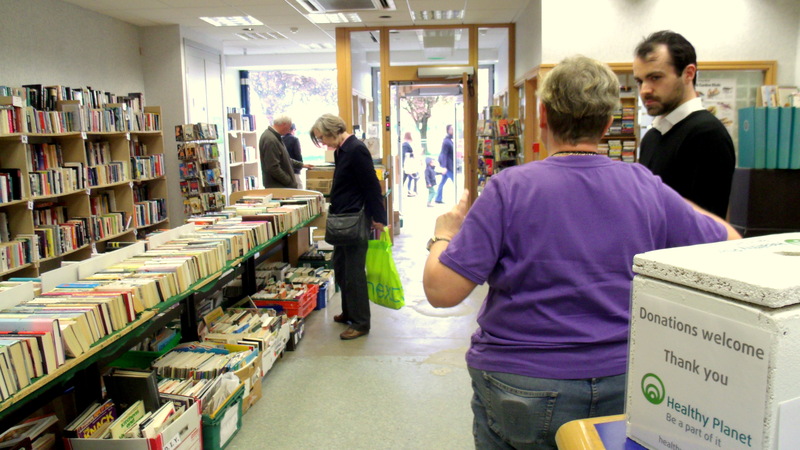 The Books for Free project has just taken over an empty shop in the local community to provide local residents with access to literature and stop thousands of books from going into landfill. 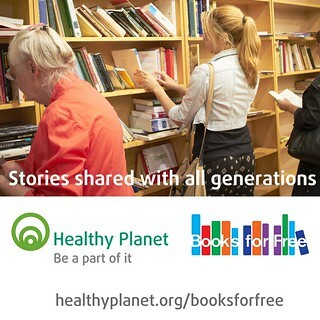 Healthy Planet is working side by side with Book-Cycle on this exciting project. Visit their website to find out more about the great work they are doing towards saving the precious book. 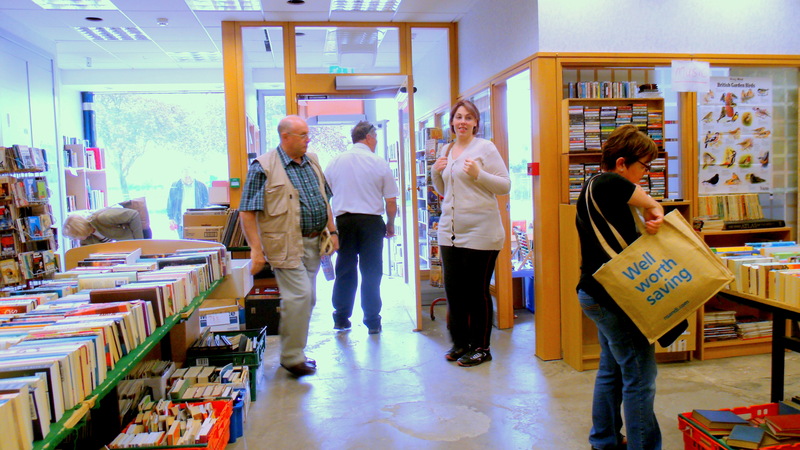 Come and visit us at 21 Town Square, Basildon, SS14 1BA Books for Free on either Tuesdays and Thursdays. Londoners can get their books for free from Kensington High Street and outlets are opening as quickly as we can find volunteers to fill them.